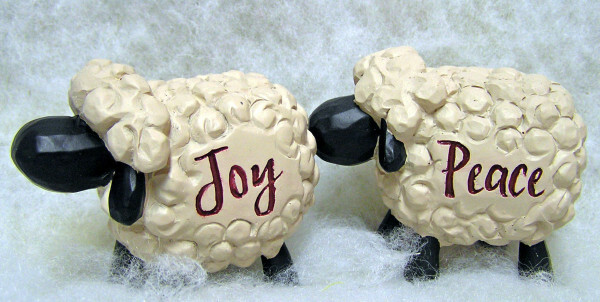 "Sheep" is spelled out on the front of this resin item. 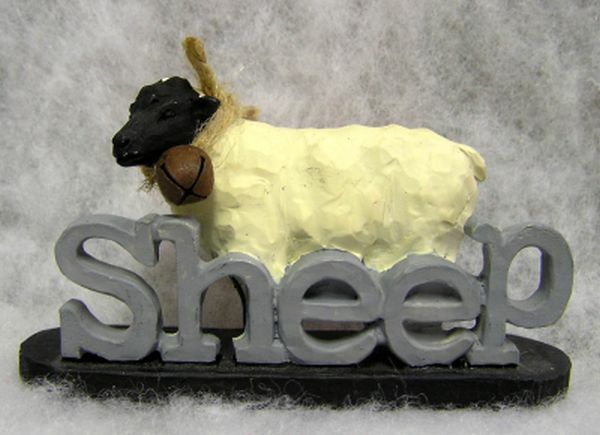 There is a black faced sheep standing on a base and behind the letters. 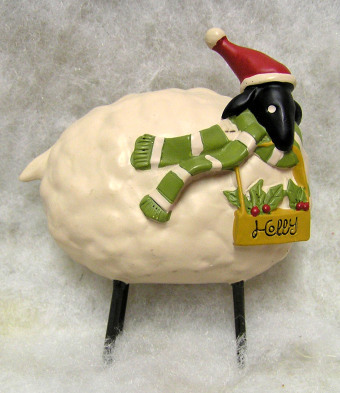 The sheep has a rusty tin bell hanging around its neck. 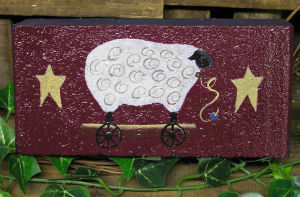 It measures 2 1/2 x 4 x 1. 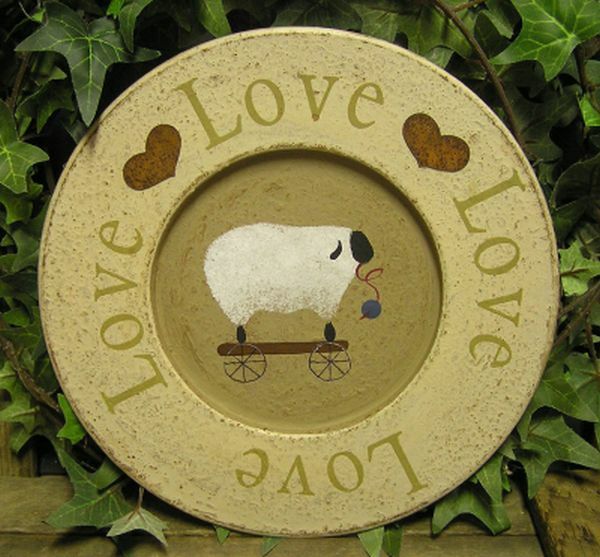 This original design hand painted wooden plate features a sheep in the center. It says "Love" around the outside and has two rusty tin hearts in between the words. 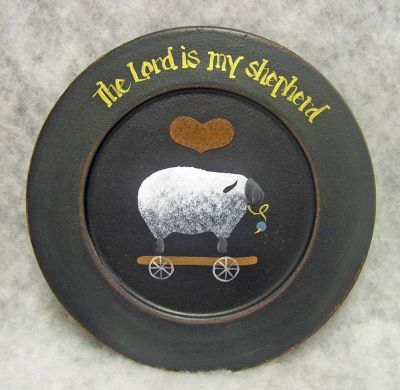 This wooden plate is another one from our original design series. 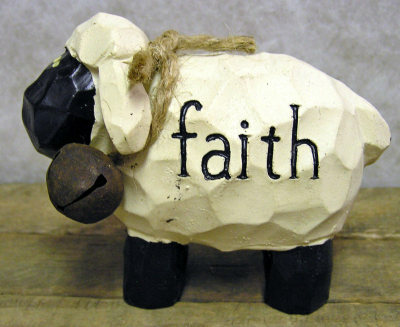 It features the words "The Lord is my shepherd" around the outside and has a sheep and rusty tin heart in the center. It can be personalized with whatever you would like. 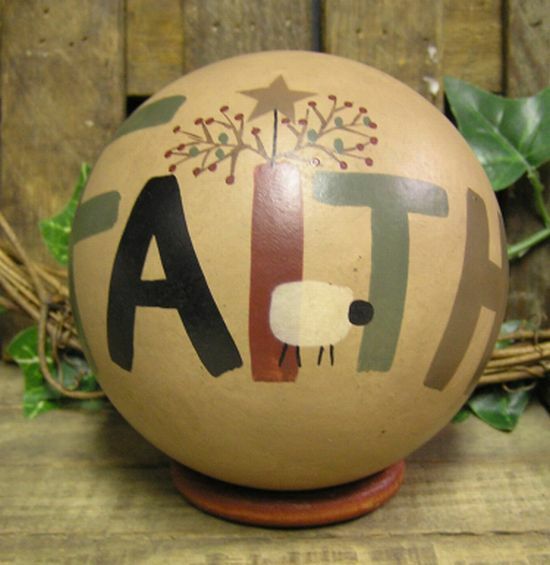 This unique ball features a design that has a sheep, berries, and the "FAITH". 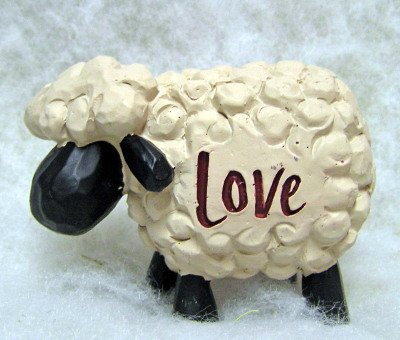 It also includes a ring stand. 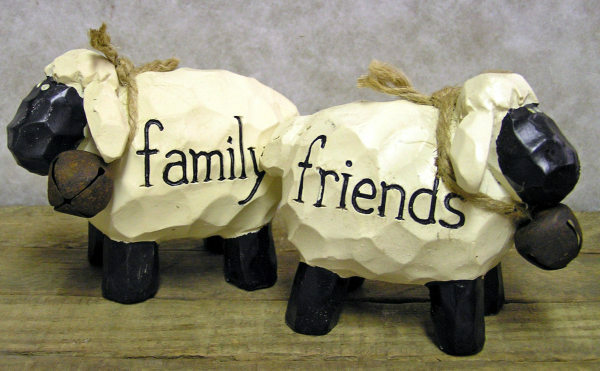 This is a real brick that is hand painted with our original designs. This one features a sheep pull toy with a star on each side - check the "This N' That" catagory for our other designs. 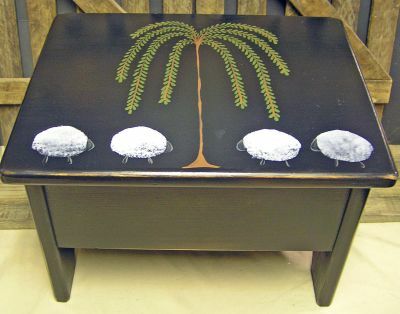 It can be personalized on the top with whatever you would like.